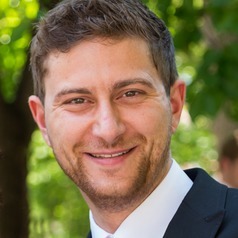 Manuel Wiesche is a postdoctoral researcher at the Chair for Information Systems, Technical University of Munich (TUM). He graduated in Information Systems from Westfälische Wilhelms-Universität, Münster and holds a doctoral degree in Information Systems from the Technical University of Munich. His current research experiences and interests include project management, platform ecosystems, and digital service innovation. His research has been published in major Information Systems outlets including MIS Quarterly, JMAR, and I&M. He is co-founder of the non-profit organization “Tür an Tür Digital Factory” with one of their projects being “Integreat”, an application that provides refugees with information they need to settle in the host country.